What hope was there for the dowerless daughters of the middle class during Jane Austen’s lifetime? Such is a topic Austen explored repeatedly in her novels. Elizabeth and Jane Bennet sought men of a like mind. The Dashwood sisters found their choices limited by their financial situation. Fanny Harville and Captain Benwick could not marry until he earned his future. General Tilney drove Catherine Morland from his home because of the lady’s lack of funds. Charlotte Lucas accepted Mr. Collins as her last opportunity for a respectable match. The intricacies and tedium of high society, particularly of partner selection, and the conflicts of marriage for love and marriage for property are repeated themes. Marriage provided women with financial security. Henry Tilney of Northanger Abbey explains, “… in both [marriage and a country dance], man has the advantage of choice, woman only the power of refusal: that in both, it is an engagement between man and woman, formed for the advantage of each.” Women of Austen’s gentry class had no legal identity. No matter how clever the woman might be, finding a husband was the only option. A woman could not buy property or write a will without her husband’s approval. If a woman was fortunate, she would bring to her marriage a settlement – money secured for her when she came of age – usually an inheritance from her mother. The oldest son or male heir received the family estate, and the unmarried or widowed females lived on his kindness. The ladies of Sense and Sensibility have this reality thrust upon them when Uncle Dashwood changes his will and leaves Norland to his grandnephew. In Uncle Dashwood’s thinking, this change will keep Norland in the Dashwood family. However, the four Dashwood ladies suddenly find themselves living in a modest cottage with an income of £500 annually. As such, they have no occasion for visits to London unless someone else assumes the expenses. Their social circle shrinks, and the opportunities to meet eligible suitors becomes nearly non-existent. With dowries of £1000 each, the Dashwood sisters are not likely to attract a man who will improve their lots. Jane Austen, herself, lived quite modestly. The Austens lived frugally among the country gentry. The Austen sisters were well educated by the standards of the day, but without chances for dowries, Jane and Cassandra possessed limited prospects. Jane met a Mr. Blackall the year Cassandra lost her Mr. Fowle. In a letter, Blackall expressed to Mrs. Lefroy a desire to know Jane better; yet, he confided, “But at present I cannot indulge any expectation of it.” To which, Jane Austen responded, “This is rational enough. There is less love and more sense in it than sometimes appeared before, and I am very well satisfied.” Imperfect opportunities were Jane Austen’s reality. In 1802, Jane Austen accepted an offer of marriage from Harris Bigg-Wither. With this marriage, Jane would have become the mistress of Manydown. Yet, despite her affection for the family, Austen could not deceive Bigg-Wither. The following morning, she refused the man’s proposal. Whether she thought to some day find another or whether Austen accepted the fact that her refusal doomed her to a life as a spinster, we shall never know. 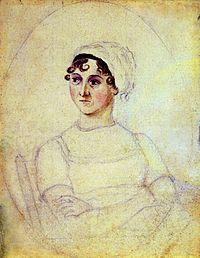 In the “limited” world in which Jane Austen lived, she could not have known her eventual influence on the literary canon. Austen held personal knowledge of young women seeking husbands in one of the British colonies. Reverend Austen’s sister, Philadelphia, traveled to India in 1752, where she married an English surgeon Tysoe Hancock, a man twenty years her senior. When the Hancocks returned to England a decade later, Reverend Austen traveled to London to greet his sister. However, Philadelphia and Tysoe were not to live “happily ever after.” Unable to support his family in proper English style, Tysoe returned to India to make his living. He never saw his wife and child again. Despite its tragic ending, this “marriage” secured Philadelphia’s future and the lady’s place in Society. Only marriage could offer a woman respectability. In Jane Austen for Dummies (page 134), Joan Klingel Ray breaks down the financial prospects of the Dashwood sisters. Converting the £500 to a modern equivalent, Ray comes out with a figure of $46,875. For the gentry, supporting four women, two maids, a man servant, paying rent, buying clothes, food, coal, etc., that sum would have meant a poor existence. I find in reading Sense and Sensibility that I am often disappointed with the eventual choices of the Dashwood sisters. Edward Ferras and Colonel Brandon have less of the “glitz and the glamour” that my innate Cinderella syndrome requires in a love match. However, if any affection did exist between the couples, then Marianne and Elinor, under the circumstances and the times, made brilliant matches. This entry was posted in British history, customs and tradiitons, George IV, Georgian Era, Great Britain, Jane Austen, Living in the Regency, Living in the UK, Pride and Prejudice, Regency era and tagged Jane Austen, Mansfield Park, marriage of convenience, Northanger Abbey, plot device, Pride and Prejudice, Sense and Sensibility. Bookmark the permalink.